We love when agents join RE/MAX Gold to unlock the potential for their business—but it's also says a lot when an agent returns to the company, recognizing the power of the RE/MAX brand! This week, we are pleased to welcome back Jennifer “Jenny” Grimes! 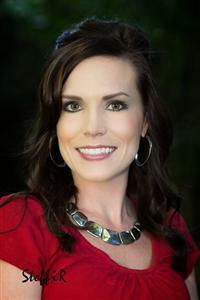 After a period with Keller Williams, Jenny has returned to our Lodi office to pick up where she left off. Jenny also cites RE/MAX Gold’s support services and leadership as being reasons for her return. Jenny has been working in real estate for over 8 years and has called the Lodi community her home for the past 34 years, specializing in the Central Valley and Foothills. Jenny has a knack for helping people buy or sell their home. At the start of her career, she was named the Rookie of the Year and now, with eight years experience under her belt, she is a Masters Club member. Contact Jenny directly at (209) 329-4671 or by email at jenny@realtorjenny.com.